There are plenty of myths that exist about Lamaze—let us set the record straight! Read on to view the reality of many of the common misconceptions about Lamaze. Myth #1: Lamaze is only about breathing. Reality: The goal of Lamaze classes is to increase confidence in your ability to give birth. Lamaze classes help you discover your innate ability to give birth. parents learn coping strategies for labor, including focused breathing. But, breathing is just one of many things that help you in labor. Movement and positioning, labor support, massage, relaxation, warm baths/showers, and the use of heat and cold are some others. Myth #2: Lamaze promises painless childbirth. Reality: Many women are afraid of the pain that is a normal part of childbirth. The pain of labor and birth, like other pain, protects us. Responding to the pain of contractions—by changing positions and moving, by massaging, by moaning—actually strengthens the contractions, helps the baby settle into the pelvis and move through the birth canal, and reduces pain perception. Some find that experiencing and coping with the pain of labor and birth is similar to the hard work demanded by athletes and dancers. Lamaze classes help parents understand the value of pain and learn how to respond to pain in ways that both facilitate labor and increase comfort. Myth #3: Lamaze childbirth means you can’t have an epidural. Reality: Lamaze classes provide information about natural pain relief options as well as epidural. Eliminating pain completely makes it difficult to respond to contractions in ways that facilitate labor and birth. Women who have an epidural are required to have IV fluids and continuous electronic fetal monitoring. They may be encouraged to stay in bed, and may need medications to increase the strength of contractions. Lamaze education will help women make informed decisions that are right for them. Myth #4: Lamaze doesn’t work. Reality: Lamaze teaches parents that nature has designed birth simply and close to perfectly, and that humans already know how to give birth. Lamaze is working if a person trusts the natural process of birth, has confidence in their ability to give birth, has the freedom to work with their bodies as labor progresses, and are supported by health care providers, family and friends who wait patiently for nature to do its incredible work. Myth #5: Lamaze is not for everyone. Reality: Knowing that pregnancy and birth can be demanding on your body and mind, Lamaze seeks to help build your confidence and ensure that you have the support you need during pregnancy and birth. You’ve likely received a lot of information from many resources, and it’s easy to feel overwhelmed. We’ll help you evaluate these resources to make safe and healthy choices that are best for you and your baby. Parents have always prepared for the birth of their babies. Historically, birth took place at home with family rituals and traditions. Women were surrounded by family and wise women who provided comfort and encouragement through labor and in the days and weeks after birth. 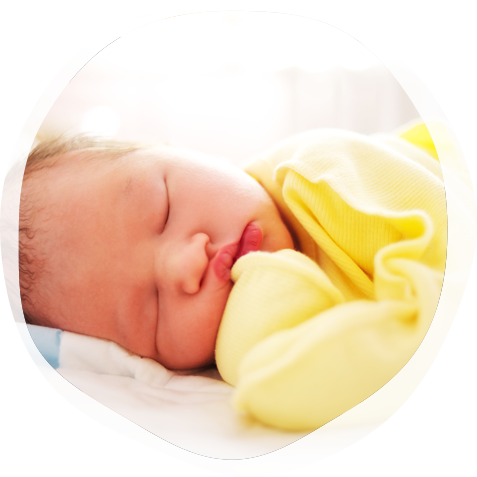 Today, Lamaze childbirth classes provide the knowledge, skills, and support that help parents give birth with confidence and joy as they have done for centuries.